We recently acquired an S13 chassis to build into a charity car to give away. 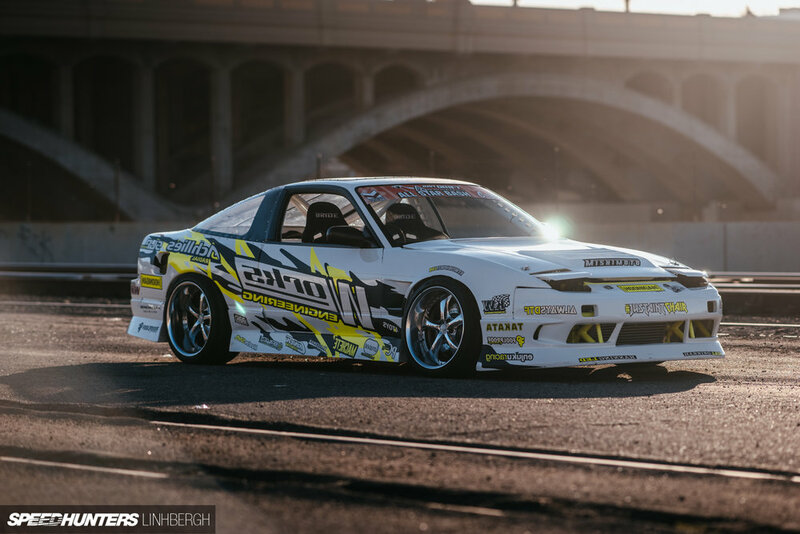 One lucky person will get the opportunity to learn how to drift from Rob Parsons, and afterwards will be awarded the car to keep progressing with. Thanks to the generous donation from Roberto Ramirez and Scott Nelson. They supplied us with the chassis to do the build with. Build a chassis to use as progressive learning platform with the vehicle being adapted to be used in drifting competition. Use a team of students from local schools as well as guys in wheelchairs to help build the chassis. Outfit the chassis with a chevy V8. The transmission will be manual gearboxes outfitted with electronic shifting and clutch systems that have been designed by "The Chairslayers Foundation". Help get more wheelchair bound individuals into the car scene. This is the car that started it all. This chassis is what the students will work up to learning how to drive. These are the chassis that will be transformed into some of the best hand controlled drift cars around. Want a chance to win? tell us your story below.